The Squire's Tale, focuses on a young man named Terence who has been raised by a hermit wizard who can see the future. Terence falls in with Gawain, a soon-to-be knight of the roundtable, and is taken on as the man's squire. As Terence assists Gawain in his heroic feats, he also uncovers mysterious details about his own possible faery roots. This book is one of those rare gems that manages to be both literary and laugh-out-loud funny. Gerald Morris has a very understated sense of humor that might not appeal to every young reader, but kids that get his subtle jokes will be endlessly amused by them and eager for more. The cover of this book, though somewhat dated looking, is actually the perfect visual representation of its tone and style. Whereas the cover depicts something silly in a serious artistic style, the story relates many ridiculous events using sincere and matter-of-fact language. Unlike the other books I've reviewed for this project thus far, The Squire's Tale is not likely to actually teach any history lessons, especially since we have no solid proof that King Arthur even existed. Still, kids who become enamored of 5th and 6th century British history will enjoy the story as pleasure reading and those who don't know much about British history might find themselves more interested after reading this book. The fantasy elements might also draw in kids who would otherwise consider a historical book to be boring or irrelevant. 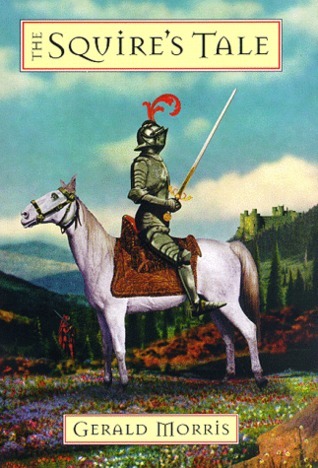 The Squire's Tale is the first of a ten-book series, the other titles of which are listed here.